Rejuvenate your hardwood flooring with our meticulous repair, restoration, and refinishing services. 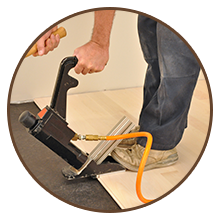 We carefully examine your flooring and recommend the best course of action. The team at Upchurch's Hardwood Flooring performs each of these services according to your needs. Nothing compares to the elegance of hardwood flooring. Whether for your home or business, there is a variety of wood flooring options from rustic to select that will suit your specific tastes. 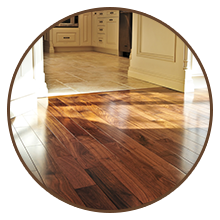 Once you choose your ideal floor, Upchurch's Hardwood skilled team will install it for you with great care. When it's time to upgrade your home with an elegant, new floor, look no further than Upchurch's Hardwood Flooring. Based in Johnson City, Tennessee, we specialize in the sale, installation, and maintenance of hardwood floors. Our commercial and residential flooring services also include hardwood refinishing and restoration. For more than 20 years, our family-owned-and-operated business has been dedicated to performing high-quality work at competitive prices. As a result, we have maintained a good reputation and take great pride in everything we do. We are also committed to safety—each of our employees is drug-tested, so you may rest easy knowing that our trustworthy technicians are working on your property. All work is guaranteed. Please feel free to contact us for references.